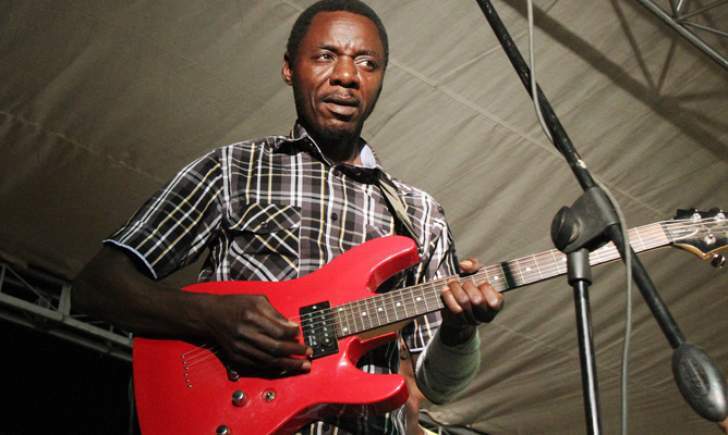 SUNGURA maestro Alick Macheso missed the OK Grand Challenge horseracing event held at Borrowdale Racecourse over the weekend allegedly over a poster in which he appeared to curtain raise for artistes twice his juniors. The no show followed outrage on social media in which fans raised the red flag that OK Grand Challenge had blundered. On the poster, Jah Prayzah, Winky D and Killer T had been given more prominence. Most critics blamed OK Zimbabwe's public relations department for failing to accord Macheso his royal status based on popularity and fortune. The Orchestra Mberikwazvo leader is arguably the revered king of sungura, a genre which he not only perfected, but also commands a huge following. And naturally, Macheso was the draw card at the OK Grand Challenge where the crowd was predominantly sungura. A source confirmed that Macheso was not happy with the way he was portrayed by OK Zimbabwe on the poster. "He's not a minnow or upstart, he is a big artiste and for him to appear as if he was a curtain raiser at a gig at which he knows he commands a huge following is disrespect," the source said. Asked if he had not signed a contract with OK Zimbabwe, the source said the release of poster was timely. "Just as he was about to sign the contract, that was the time he saw the poster and that killed his vibe. He refused the contract," he said. There was outrage over the poster with fans and journalists taking to Facebook to criticise OK Zimbabwe for the blunder. Wrote one Rutendo Chabururuka: "Macheso is bigger than all these guys. The marketing at OK clearly doesn't comprehend the meaning carried by font sizes and they must learn and rectify this one immediately." "It is common knowledge that many young people will identify with Jah Prayzah and Winky D among others compared to Alick Macheso. "What is critical to note is the fact that the man of the moment is Jah Prayzah and Winky D, however, Macheso happens to be the best among them as he has a polished act and has seen it all," Trevor Shumba commented. "The poster however, might have been designed with the idea of those who have many appearances at the challenge as the greatest and it makes business sense though not industrial sense when it comes to the music domain."